I felt a little like a peeping “Thomasina” as I read this book—after all, it was meant to be read by pastors. However, as one who has spent a few decades in ministry, I had plenty of “ouch” moments that applied as much to me in ministry as to a pastor in ministry. It is written for those who don't listen to their own sermons. It is written for those who don't think they need grace as much as the people they minister to. It is written for those whose devotional life is constantly high-jacked by their preparation. It is written for those who think they've arrived. It is written for those whose ministry has become their identity. It is written for those who believe that theological education and Biblical literacy equal maturity. It is written for those who may have mastered the Book but haven't yet been mastered by the God of the Book. It is written for those who have lost their awe of God. It is written for those whose faith has been replaced by fear. It is written for those who want out because of the unrealistic expectations they have placed on themselves. As is true for everything else I have read by Tripp, it all comes down to an issue of the heart. The book is laced with practical advice for dealing with the issues that plague our church leaders and ultimately affect the church. Every pastor, every Bible College and Seminary student thinking of becoming a pastor, should have a copy of this book. When a person has their mind and heart together and releases both in tandem on paper with great skill, the result can be a delightful work of art. So is “Finally Jesus: Engaging the Story of a Written God” by author Matt Fraser. “Finally Jesus” is a must read for those who take an understanding of biblical theology seriously. Matt Fraser’s love for God and His Word together with his grasp of God’s presence being progressively revealed in the course of history is firmly pronounced in the pages of “Finally Jesus”. So often in the study of the Scriptures, systematic theology is the invention. There is a desire to place truth into systematized categories. This in itself may be good. However, it is refreshing to have a clear biblical theology carefully laid out. This is the case in “Finally Jesus”. We can thank Matt Fraser for such an approach. Matt traces the story of the Written God through the Old and New Testaments, showing how God has always been pursuing the same goals, and that these goals come together in Jesus. Throughout “Finally Jesus”, Matt, with careful precision, journeys through the Scriptures while outlining major themes of the Scriptures ̶ namely, the presence of God, the kingdom of God, the covenants of God, sacrifice from God and the mission of God. Interwoven in the progressive revelation of the Written God and well-defined and discussed by Matt are pertinent subjects in God’s redemptive plan such as truth, depravity, justice, covenant, grace, worship, judgment, authority and mission. Ultimately, it is in the coming of Jesus Christ that the Word became incarnate and that the Written God spoke loud and clear. Enjoy your reading; journey with Matt through the pages of Scripture and experience afresh the presence of God, who is on mission. Matt is a graduate of Heritage College and Seminary, Cambridge, ON. Matt and his wife, Kristen, have served as missionaries in Zambia and are now serving in Eastern Europe. Recently he was ordained by Emmanuel Baptist Church in Barrie, ON, within The Fellowship of Evangelical Baptist Churches in Canada. Some scoff, but doubters take note: Colouring is a good stress reliever and we all know just how stressful life can be. But CALM COLORING isn’t just your average coloring book. It is meant to encourage faith. 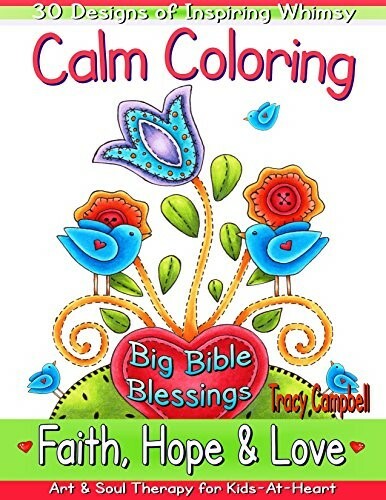 Each design by artist Tracy Campbell is accompanied by a verse from Scripture and provides an excellent means to help children of any age to memorize the Word of God while they are enjoying the benefits of a creative activity. Considering how important the Word of God is to all of us, memorizing while colouring is just as good an idea for adults as it is for the kids. Now, if you’ll excuse me, I’m off to sharpen my colouring pencils. This is not a book for theological wimps. This summary of Stanley Fowler’s earlier work, More Than a Symbol: The British Baptist Recovery of Baptismal Sacramentalism (Paternoster, 2002), may raise the hackles of some, but it certainly forces all students of Scripture to take another look at a subject that is of primary importance to us as believers and as Baptists. Fowler’s statement in the Preface to this little book explains much: “Baptism is not the most important issue confronting the church today, but I am sure that it is designed by God to be an important part of Christian experience. If so, then there is value in rethinking our understanding and practice of baptism. Scripture is infallible, but our reading and application of Scripture are very fallible. I hope that this small book will in some way facilitate a fresh encounter with Scripture and reformation where possible” (pg viii). 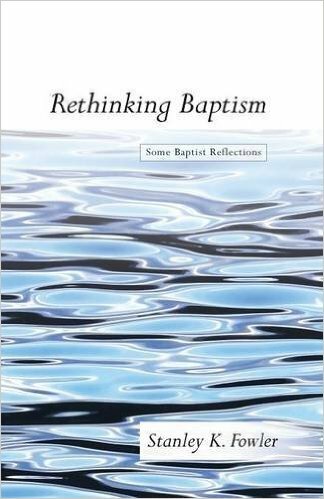 RETHINKING BAPTISM begins by explaining Fowler’s own journey of faith as it related to what he has come to believe about baptism. 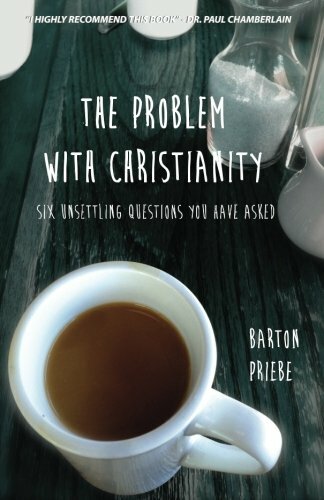 One of things I personally appreciated was how he dealt with, and gave insight to, those verses of Scripture that I have often tried to avoid referring to in my conversations with unbelievers and in discipling new believers. I didn’t have a satisfactory explanation as to why baptism was included in the repentance-salvation formula. And whether I fully embrace Fowler’s explanation or not, I am still grateful for his fresh, logical perspective on the subject. Fowler doesn’t shy away from dealing with the Biblical texts—we wouldn’t expect him to. Much of the book is dedicated to examining those passages and to developing a higher view of baptism than we, as Baptists, are inclined to give it. But Fowler is clear that he is not promoting baptismal regeneration. Rather he views baptism as a way of translating “belief into action and respond to Christ as an embodied person,” similar to what happens when a person is asked to respond to an altar call (pg. 31). Does this view of baptism deny that we are saved by grace alone through faith alone? Will this sacramental view of baptism cause people to trust in baptism rather than trust in Christ? How can this view be called Baptist, since Baptists have always considered baptism to be a symbolic ordinance, not a sacrament? Stanley K. Fowler, well-known among Fellowship Baptists in Canada, is Professor of Theological Studies at Heritage College and Seminary in Cambridge, ON. Number five, concerning evil in the world, is the weakest, but even there he suggests helpful avenues of thought. But even here it is a very helpful book. I trust many find it useful in seeking to communicate with friends and neighbours in an increasingly hostile culture. Barton Priebe was raised in British Columbia and southern Alberta. After working four years at Trinity Western University and thirteen years in Vancouver at Dunbar Heights Baptist Church, he became the lead pastor of Central Baptist Church in Victoria. He is currently working on his Doctor of Ministry at Northwest Baptist Seminary. Elliott’s new book is all about redemption. Dancing in the Rain is a sequel to the story of Ben’s cancer diagnosis and his death. It chronicles the journeys of Lisa, her husband, David, and their remaining children, Erin, Natalie and Jacob, as they dealt with the aftermath of Ben’s passing. The book includes excerpts from the personal journals of all of the family members. There is also a study guide included in the book along with practical principles and practices for anyone who is working his or her way through a time of loss. The openness of all the members of the Elliott family to sharing some exceptionally personal struggles tells me, as a reader, that although the journey through this storm has been a difficult one, they have all come to understand in a new way that God sends the rain as well as the sunshine and both have divine purposes in our lives. Dancing in the Rain abounds with the sunshine of God’s grace in times of despair, loneliness, anger, grief and transition. It will prove to be an encouragement and a blessing to those who read it, and learn from it. —Lisa Elliott’s ministry, Straight from the Heart, has impacted the lives of many over the years. She is a pastor’s wife from London, Ontario, mother, and now a grandmother, as well as an award-winning author. So begins Baxter’s treatment of the Book of Daniel as it relates to the state of the church today. For most of us, other than a brief foray into the first few chapters of Daniel to enjoy the wonderful adventures of the intrepid quartet of young men taken from their homes and transported to Babylon, the Book of Daniel represents too much mystery for us to wrap our heads around. But Wayne Baxter does what he says he will do and takes both the stories and the mysteries, unwraps them, and reveals their practical application to our current reality as Christian communities. How did Daniel act and react as an exile living on the margins of a society foreign to him and to his principles? That question becomes a question for all of us: How do we need to act and react as exiles living on the margins of a society that is foreign to us and to what we believe as Christians? Some of us remember the children’s song we learned in Sunday School, Dare to be a Daniel, and this is the call of We’ve Lost. What Now? It is a call not to a fortress mentality, to a “circle the wagons” kind of thinking, but a call, as Daniel did, to “witness wisely in our society, and thus minister more effectively from the margins” (pg. 7). The book is practical and includes discussion questions at the end of each chapter. It is at once scholarly but also easily understood. It is a call to transparency, to integrity, to mission, to believing that even from the margins of society, God has a sovereign plan and isn’t finished with us yet. Wayne Baxter is Associate Professor of New Testament and Greek at Heritage College and Seminary in Cambridge, ON. He formerly pastored churches in Windsor, Ottawa and Toronto and is the author of numerous articles for academic journals as well as the author of Israel’s Only Shepherd: Matthew’s Shepherd Motif and His Social Setting (2012).